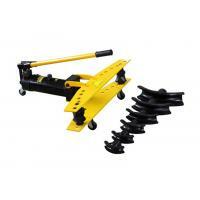 Bending Dies: 1/2" , 3/4" , 1" , 1 1/4" , 1 1/2" , 2" , 2 1/2" , 3"
Hongli HHW-3 Manual Hydraulic Pipe Bending Machine for Steel Pipe up to 3"
1. 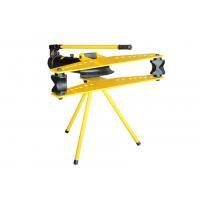 Bending range up to 3” , portable design for construction . 2. 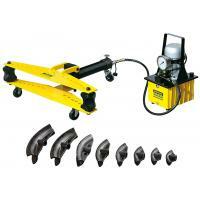 Hydraulic pipe bender provides easier bending than manual mechanical bender. 3. 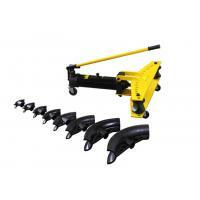 Up to 90 degree, hydraulic equipment makes more precise bending. 4. Cold bending pipes only in one turn . 5. 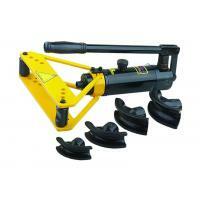 Fast set up and disassembly ,convenient removing with bottom wheels. 6. Friendly use for European Environmental Standard with CE. Bending dies: 1/2",3/4",1",1 1/4",1 1/2",2",2 1/2",3"
Hangzhou Hongli Pipe Machinery Co., Ltd. is a subsidiary company of Hangzhou Hongli Group, specializing in designing and manufacturing pipe tools. Hangzhou Hongli Group has two companies, Hangzhou Hongli Pipe Machinery Co., Ltd. and Hangzhou Huaxing Machinery Co., Ltd., covering a production area of 25,000 square meters with more than 250 staff members including 15 engineers. Huaxing Machinery was established in 1986. After years of hard work, Hongli Pipe Machinery has been one of the leading manufacturers of pipe tools in China. Our main products include threading machines, core drills, roll groovers, pipe cutters, pipe benders, drain cleaning machines, pressure testing pumps and hole cutting tools. 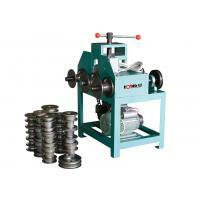 More than 40,000 sets of piep threading machines are available. We Hongli keeps developing new products and improving production technology to ensure quality products. The control of quality is the first mission for our company to ensure the best products and service. In the spirit of "good service for clients", we source power tools, hand tools, and automotive tools from partner factories in China. We hope to cooperate with all of our old and new clients and serve you better and better. The above threading machines, pipe grooving machines and pipe cutters are original products when the factory was established. 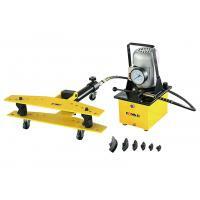 Pipe bending, pipe drain cleaning machines and pipe hole cutting machines and some other tools were newly designed and developed later. 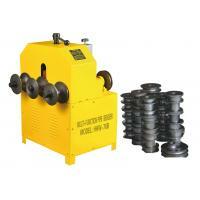 Spare parts and complete set of machines are all available to be manufactured as per your request. Our company Hongli has been in business since 1988 as Hangzhou Huaxing Machinery Factory. We have grown to be one of leading manufacturing companies of pipe threading machines and pipe grooving machines and pipe cutting machines and pipe hole cutters in China with many customers around the globe. Hangzhou Guanba Machinery Import & Export Co., Ltd is our sister company. 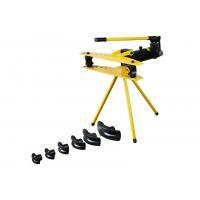 Our priority is to design, produce and deliver products and solutions that make your job been done easily. Today, we are committed to helping our customers succeed and building long-term value in the global market so we are developing some agents around the globe. We make OEM for some brands all over the world while We also have our own two brands: Hongliand Tiger King which are also popular . 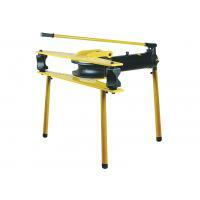 Until now we have agents in Korea for brand Hongli and in domestic market for brand Tiger King. 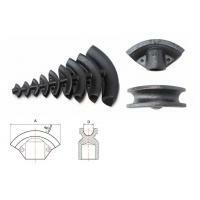 We Hongli Pipe Machinery has agents of Brand Tiger King /虎王牌 in each province of China mainland market. Now, we hongli has more than 200 members. We always want to have kinds of activities to make our work be interesting and energetic. 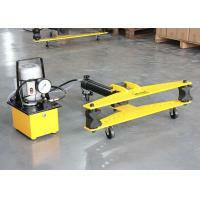 Hydraulic Electric Pipe Bending Machine for Steel Pipe up to 4"
Portable Manual Hydraulic Pipe Bender For Steel Pipe Up To 1"